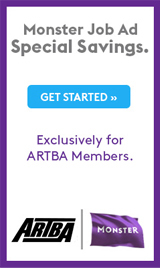 The ARTBA Foundation has launched a new “Transportation Construction Safety Center” found at www.artbasafetycenter.org. In the past two decades, these activities have resulted in many difference-making accomplishments such as federal laws requiring the collection and analysis of roadway construction safety data; providing safety training to over 100,000 workers; development of over 40 safety training courses and more than 25 technical guidance publications; and more. A special 16-page supplement about the Center is also included in the September/October issue of Transportation Builder magazine, now in the mail.